This is a beautiful Natural Blue Sapphire corundum set on a nice 19mm handmade silver ring. 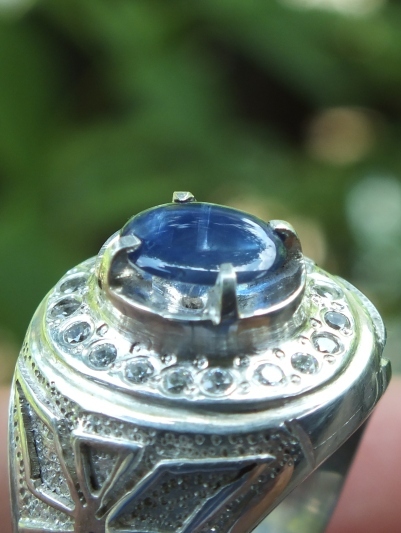 The origin of this corundum is from Africa, but there is no indication of Glass-filling treatment. 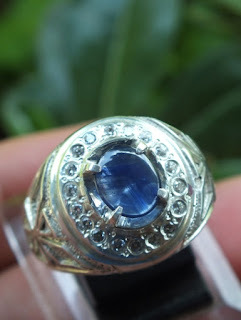 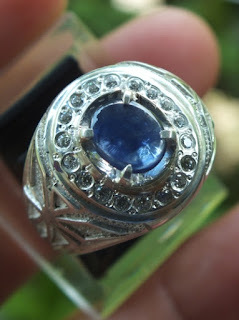 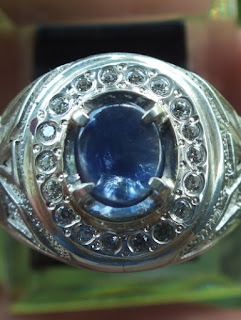 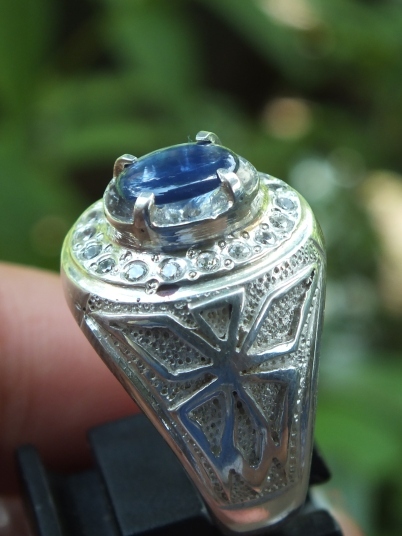 The size of the sapphire is (est) 7,9mm x 6,5mm x 0,8mm. Get this beautiful Natural Blue Sapphire Corundum now!